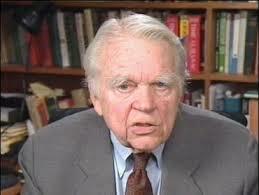 Written by Andy Rooney, a man who had the gift of saying so much with so few words. Rooney used to be on 60 Minutes t.v. show. I’ve learned . That when you’re in love, it shows. I’ve learned …. That I can always pray for someone when I don’t have the strength to help him in any other way. I’ve learned …. That when you plan to get even with someone, you are only letting that person continue to hurt you. I’ve learned .. That love, not time, heals all wounds. I’ve learned …. That the easiest way for me to grow as a person is to surround myself with people smarter than I am. I’ve learned …. That a smile is an inexpensive way to improve your looks. I’ve learned …. That when your newly born grandchild holds your little finger in his little fist, you’re hooked for life. I’ve learned …. That everyone wants to live on top of the mountain, but all the happiness and growth occurs while you’re climbing it. To all of you… Make sure you read all the way down to the last sentence. It’s National Friendship Week. Show your friends how much you care. Send this to everyone you consider a FRIEND,even if it means sending it back to the person who sent it to you. If it comes back to you, then you’ll know you have a circle of friends. HAPPY FRIENDSHIP WEEK TO YOU!!!!!! YOU ARE MY FRIEND AND I AM HONORED!